Here at DCS Multiserve, we are experienced in delivering high-level cleaning services to all types organisation; cleaning from top to bottom, inside and out. 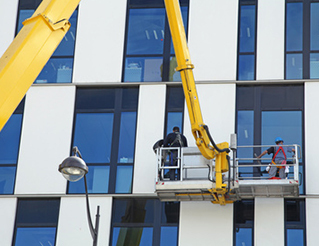 First impressions count, so make sure your building gives a positive image of your organisation. We’ve been providing tower cleaning services, and all other types of high-level cleaning, for over 25 years. Our professional, uniformed operatives can visit your premises at a time that’s convenient to you, and clean all hard-to-reach areas to an impeccable standard. All work is conducted in adherence to the health and safety requirements, and our trained staff will present you with the risk assessments and method statements necessary. All staff have their IPAF cards as well, to ensure they work safely and effectively on powered access machinery. We also only use the latest in cleaning equipment and technology, to allow us to conduct our work efficiently and safely. 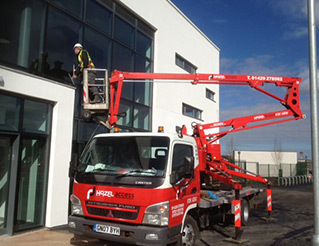 High level cleaning can be arranged for both the interior and exterior of your building, and can include regular window cleaning services, or be part of a full integrated factory cleaning package. To find out more, contact the team.